The NHS leaflet on how access mental health care can be found by clicking the link below. makes a difference to someone in need. we would like to say an enormous Thank you You and wish you loads of good luck with your event. - Have a think about what you would like to do. - Consider how much you would like to raise, when you have a target it becomes much more fun. - Promote what your doing to friends, family, neighbours, colleagues – in fact absolutely anybody and everybody that may wish to join in, sponsor you or donate to your fundraising activities. - Get people to sponsor you, donate, or attend your event – be sure to get them to tick the Gift Aid box if they`re eligible – this will really boost your final donation. - Complete your event – don`t forget to enjoy yourself. Please take care not to injure yourself in any way as The Mercian Benevolent Charity cannot accept any liability for accidents or injuries – just have a great fun safely. We look forward to hearing from you and wish you every success with your fundraising event. GOOD LUCK! The lists below are purely ideas to help you decide what you would like to do, but of course you may already have some fantastic ideas of your own and can`t wait to get started. Don`t Stash The Cash – Gather all those unused foreign coins and notes that are left at the end of the holiday season- you`ll be amazed where people stash it!. We`d love to make good use of all those left over Euro`s, Dollars, Egyptian, pounds etc. we don`t mind how large or small the donation, it all adds up. Pennies Count - collect all that `small change’ lying in the bottom of your glove box, handbag, sofa, pockets – you know the kind of places we mean. Put them together in an old jam jar or take away tray ( best to wash it out first though perhaps!) Over the month, whenever you find anymore, just add them,and when your done send us your donation. Office Swear Box – We`re often reminded of our p & Q`s so why not put a tub or jar somewhere in your office and ask people to drop a coin in whenever a cheeky little word pops out!. Tell them it`s to raise funds for the Mercian Regiment Benevolent Charity and see what fun you have together. Fast Food – Instead of popping to the fast food outlet at lunchtime every day, why not skip lunch (fast) occasionally or bring a light one from home, put the money you save to one side every time you do it and when your done send us your donation. Double up by getting a work colleague to join in too. Dress Down day – Ask your boss if you can have a `Dress Down’ day and everyone who takes part makes a donation, Don`t forget to ask them to tick the Gift Aid box on your form to boost your donation – and if you want to be cheeky asl the boss if they will match the total it`s amazing how many will want to support you in such a practical and meaningful way…It`s great PR for them too after all. Be my Butler – Charge a fee for general domestic chores and odd jobs. Make a Price List and pop it on the fridge door or family notice board, maybe even give a list to your nearest and dearest and get them involved too. You could include a variety of tasks or just a few. It`s entirely up to you. Maybe a bit of ironing, dusting, lawn cutting, collecting fallen leaves off the driveway, baby sitting, car washing, vacuuming, breakfast in bed….This is such a fun activity and everyone will want to get involved. When your done and dusted donate the proceeds to us. Taxi Taxi – offer to be the taxi for friends and colleagues on nights out, and ask them to make a donation in place of the taxi fare they would have paid. If they`re generous they may even add a bit extra. When the taxi service ends send us your donation. End of Season Sale – Have a clear out in your wardrobe, shoe rack, storage boxes, attic and take all those unwanted dresses, suits, jeans, boots belts, brooches either to a car boot sale local to you, or place them on Ebay perhaps. The items need to be in saleable condition and remember to weigh them for packaging purposes if you decide to use Ebay. Have fun watching the bids come in. Knowing this is all funds for the charity. When the transactions are complete send the proceeds to us. Dinner at 8 – Host a dinner party either at home or in a local community venue, you could include games, karoke, raffle bingo name that tune…the list goes on. Keep keep it small and intimate or large and loud – it`s up to you. Charge a cover up fee. Award the overall winner of the night with 25% of the takings and send the rest to us. Cup Cake Morning – Host a coffee morning with a difference. Invite friends, neighbours, colleagues, family round and charge them a cover fee or put up a suggested price list. Offer a nice selection of Coffees or Teas to try, some delicious home made cup cakes and nibbles. Tell your guests about your fundraising ambitions and ask them to donate any spare change they have too. If they have no change on them a cheque is fine Just ask them to make it payable to the Mercian Regiment Benevolent Charity. Sponsored event – You can be sponsored for almost anything and everything these days, walk, rum, cycle, drive, parachute jump, sports competition, goals, quit smoking, keepy uppey, silence, singing, belly dancing, leg shave, bath of beans, bell ringing, mountain climb, challenge, spinning, dieting…. It`s great to do an event or challenge alone, but so much more fun when you get buddies to join in too. Get people to sponsor you or to make a donation, and to boost your donation get friends and family to take your sponsorship form to work, university, church, club and so on. This will really transform your event into a fantastic opportunity to raise some serious cash for the charity. Why not take some pictures as you start and when you finnish so you can show people what you did. > Will you practically be able to complete the challenge - do you have any restrictions or limitations that may make this challenge a little hard to cmplete. Press release - Are you going to tell your local paper about your event?. We can help with a press release if you want to tell people about your event. Local people love to hear about achievements in their community , as we do. Posters – A poster is included in the pack for you to promote your event, please feel free to print off and distribute as many as you would like to. Great ideas as where to place them include local newsagents, community centres, GP surgeries, Church Halls, local libraries, School Notice Boards, Sure Start, Play Groups, Work Notice Boards and we`re sure you can think of more besides. Remember to check with the venue that they are happy to put your poster up before hand, they might even want to help promote your Event among their regular visitors which will be a great boost to your fundraising success. Text – Why not text all your contacts and let them know you`ll be calling on them for support in the weeks ahead. This will create a real buzz around what you`re planning to do and help to engage extra support on the day. Facebook and Twitter – What can we say?. Social media is a great way to keep people informed about what you plan to do, how you`re preparations are going, sending out invites and posting pictures. It is also a fabulous way of reaching a much wider group of potential supporters. Keep your posting punchy and up to date and watch your support base thrive. Face to Face – Nothing is more powerful than face to face dialogue with someone you would like to get on board. Chatting with people in the supermarket or in the gym is a fabulous way to promote what you`re doing. If you were looking for an excuse to catch up with an old buddy – this is it. Tell them about what you plan to do, and why you plan to do it. Remember please DO NOT send any cash in by post. You can collect and submit your funds in a number of really easy different ways. - Set up your own fund raising page on justgiving .com and choose The Mercian Regiment Benevolent Charity as your preferred charity. Don`t forget to tell your friends about your page so they can look up and donate to your event. - Take cheques for the funds or postal orders you`ve collected to any of our Recruitment Offices or to Regimental Headquarters ( call Rebecca for details of your nearest collection) along with your paying- in slip enclosed within the pack ( for reference purposes). If you`ve already decided what you`re going to do to raise funds that`s fantastic, just remember to keep it safe and legal. Please take care not to injure yourself in any way as the Mercian Regimental Benevolent Charity cannot accept any liability for accidents or injuries – just have great fun safely. To boost your final donation ask everyone to put their donation onto your sponsor/ donation form or web page so the Gift Aid can be claimed where applicable. When your done we would love to hear from you and know how you got on so that we can Thank You for your time, donations and support. Don`t forget to send us your event snaps and sponsorship forms. A feedback form is enclosed within the pack, please feel free to use this and add as much detail as you like. 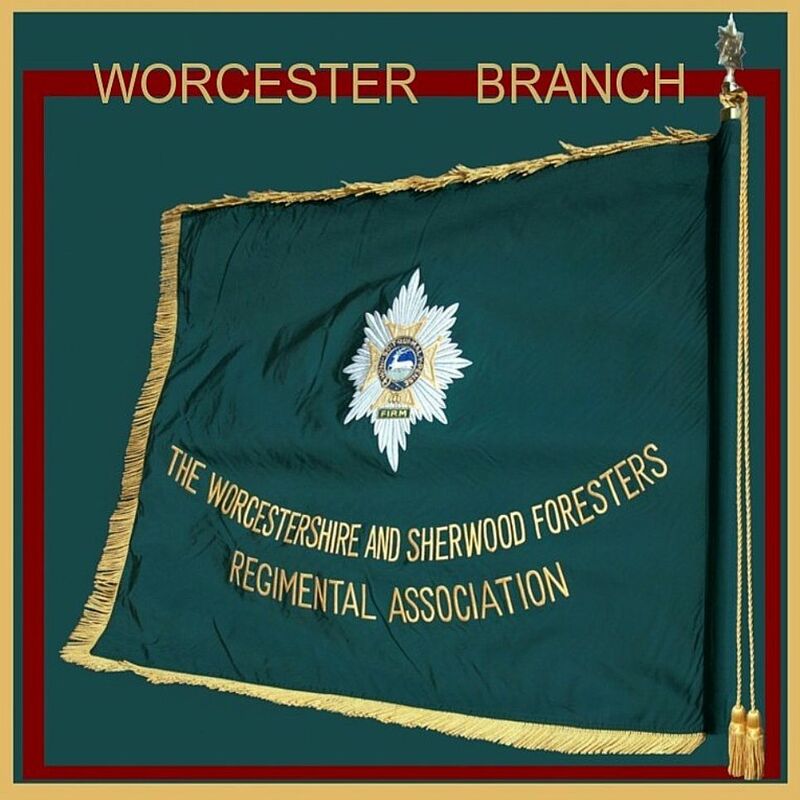 The use of the Regimental cap badge is only allowed on the PDF forms within this pack. In order to collect money or host an event of any kind on private property you must obtain the landlords permission in advance. Please do not organize street collections or similar – these need licenses from the Council or Local Authority as well as public Liability Insurance. Please be safe and complete your event in a safe and responsible manner as The Mercian Regiment Benevolent Charity cannot accept any liability for accidents or injuries incurred.